Economics Minister Naftali Bennett announces a joint venture between Israel and India, strengthening diplomatic and regional ties. 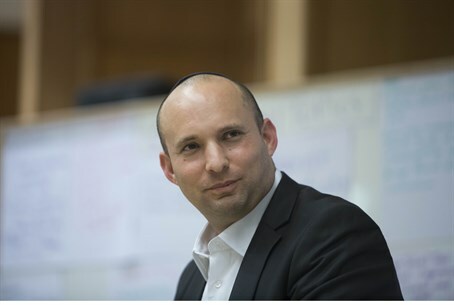 Naftali Bennett announced Tuesday that Israel has started negotiations with India to establish a joint Indian-Israeli technology fund. The fund will reportedly invest in joint ventures in both countries, as part of Israel's initiative to reach out to regional economic superpowers, including both India and China. In December, Israel's Consul General in Mumbai, Jonathan Miller, revealed that Israel would be entering into a free trade agreement with the Indian state of Gujarat. "Gujarat is a business-oriented state and this MoU will help both Israeli and Gujarat-based companies in developing and strengthening the industrial relationship,” Miller was quoted as saying. Delegations from Israel and Gujarat are frequent visitors in each others' countries, and there has already been substantial economic cooperation between the two, Miller said. The new memorandum of understanding will focus on developing an investment fund that will help local businesses expand their horizons, he added. In addition, the move will likely strengthen ties between India and Israel further, extending their military partnership into the economic realm. India has a long history of buying military equipment from Israel; last month, India purchased 15 drones from the Jewish state, in an effort to boost security along its borders with Pakistan and China.